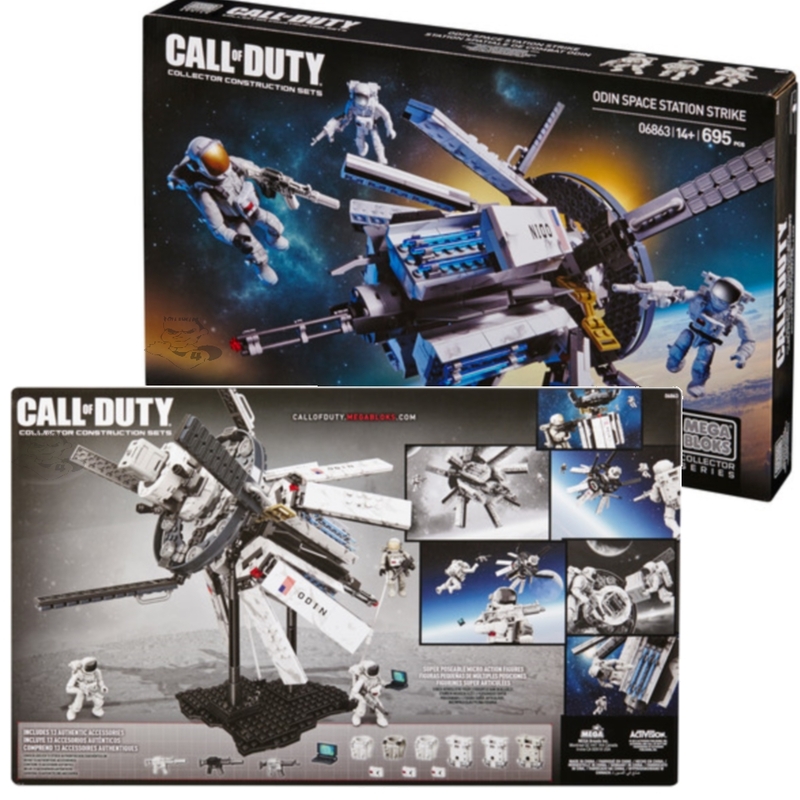 Product Detail Summary: Build the Call of Duty ODIN Space Station Strike Collector Construction Set by Mega Bloks. The ODIN (Orbital Defense Initiative) is a kinetic weapon capable of doing massive damage to the surface of Earth from space. The multi-tier buildable space outpost features articulated panels to focus and fire its powerful kinetic tungsten rods, as well as three brand new super-poseable micro action figure space soldiers with advanced weaponry and interchangeable accessories that allow for mission-specific customization. For ages 14 and up.